Hereford United can be backed at 18/5 to defeat Torquay at Plainmoor tomorrow evening. This price is available with Victor Chandler. A more general price is between 3/1 and 7/2. Best price for a draw is 11/4 also with Victor Chandler. A 2-2 draw is 18/1 with SkyBet, William Hill and Coral. If Stuart Fleetwood scores the first goal of the game Bet365 will pay 10/1 and the same bookie is offering 9/1 for a first goal from Jake Jervis. New signing Wesley Ngo Baheng is also 10/1 with Bet 365. For anyone game enough Janos Kovacs is 66/1 to score first with Paddy Power. Meanwhile Hereford United have asked supporters if they will consider using Coral to place their bets whenever possible. The equation of how the Club earns the cash from Coral is quite complex and depends on other clubs performances, but it could lead to the club earning more money than supporters have actually bet - there really is the opportunity to earn a nice healthy amount for the club. After the FA Cup break this weekend, it's back to league duty tomorrow evening at Plainmoor. To enter the Bulls News Prediction League, send in your score and attendance predictions to bullsnewspredictions@hotmail.co.uk. The deadline for tomorrow's match is 7.00pm. Remember to include your username. Torquay are set to lose two forwards ahead of tomorrow's game at Plainmoor. Star striker Elliott Benyon is expected to complete a move to Swindon shortly, while loan forward Ashley Hemmings has returned to Wolves early after a lack of first team games. UPDATE: Benyon sold to Swindon for undisclosed fee. The loss of Benyon could mean a striker shortage for tomorrow's match, with former Bulls trialist Chris Zebroski suspended after being sent off at the weekend. UPDATE: Gulls sign Jake Robinson on loan from Shrewsbury until. But they will have one familiar face in their line up after Craig Stanley joined them on loan for a month from Morecambe. It is an unusual move for the former Bulls midfielder. He was a regular in the Shrimps side right up to this past weekend. Accrington have signed Oldham defender Joe Jacobson on a permanent deal after the Boundary Park outfit agreed a settlement on his contract. The 24 year old had been on loan at Stanley since November, and will now stay until the end of the season. Luton have sold midfielder Andy Drury to Ipswich for £150,000. Rotherham have rejected a bid from Huddersfield for striker Adam Le Fondre. Wrexham's owners have announced the sale of the club to a company owned by former Shrewsbury and Macclesfield chief Rob Bickerton, and former Chester secretary Tony Allan. Stockport have allowed defender Robbie Williams to leave the club and join Rochdale. The former Huddersfield man is not expected to be the only departure from Edgeley Park tonight. Shrewsbury have released defender Dean Holden by mutual consent, just days after manager Graham Turner said the player was still in his plans. Bradford have signed veteran forward Scott Dobie on loan from SPL side St Johnstone. The 32 year old was capped six times by Scotland. Lincoln have released midfielder Scott Kerr to join York after six years with the club. The 29 year old played 249 times for the Imps after arriving from Scarborough. Accrington have signed midfielder Ian Craney on an 18 month deal after he was released by Fleetwood by mutual consent. The 28 year old is now in his third permanent spell with the club. Stevenage have paid out a reported six figure fee for Newport striker Craig Reid with Yemi Odubade and Charlie Griffin going the other way on loan deals. The 25 year old has scored 18 times in 29 games this season. Lincoln have released defender Moses Swaibu by mutual consent after two years with the club. The former Crystal Palace trainee is due to face court over the theft of a newspaper next month. In advance of tomorrow evening's League Two match ast Torquay, Jamie Pitman has reminded supprters that the Bulls must avoid relegation. "Our main priority is to avoid relegation and Torquay’s is to push up the league," said the Hereford United manager as reported by the Worcester News. "It’s going to be a tough game but we are better than we were when we last played them. We are now out of the bottom two and need to stay out of there to achieve our objective, which is survival." Although the Bulls are in 22nd position they have four games in hand over the bottom two, Barnet and Stockport. The Bulls have confirmed the signing of Rob Purdie until the end of the season. The 28 year old was released by Oldham earlier today after agreeing a termination to his Boundary Park contract, which was due to expire in the summer. Purdie has played nine times for the Bulls since returning to Edgar Street on loan in October. Joe Heath's loan at Edgar Street has been extended until the end of the season, Exeter have confirmed. The full back has made ten appearances for the Bulls since arriving at the end of November. Bristol Rovers' official site is reporting that the Bulls have signed midfielder Harry Pell on loan. The 19 year old joined the Pirates from Charlton in the summer, but has made only one sub appearance in League One this term. The 6ft 2in central midfielder played against the Bulls in a trial match for the Pirates in April prior to signing on at the Memorial Ground. He will stay at Edgar Street for an initial month. There was an excellent attandance of 2426 Hereford United supporters at Hillsborough last Saturday. The figure, released by Sheffield Wednesday earlier this afternoon, is the highest away gate since the Conference Play-off at Leicester. Rob Purdie has had his contract with Oldham Athletic 'terminated'. A few days ago Oldham agreed to Rob Purdie continuing his loan spell with Hereford. The decision was taken to enable midfield-man Purdie to find another club before the transfer window shuts at eleven o'clock tonight. It is assumed that club will be Hereford United. Meanwhile Paul Downing has joined Shrewsbury on loan from West Bromwich. Downing had a spell with the Bulls last season. In other ex-Bull news, Jennison Myrie-Williams' move to Oxford has fallen foul of UEFA regulations. The 22 year old cannot sign for a third club on a permanent deal during a season after already playing for St Johnstone and Dundee Utd this term. Joe Heath will miss tomorrow's match at Torquay following his sending off at Sheffield Wednesday. Joseph Heath - Suspended from all first team football until the Club have completed 1 first team match for a Sending Off in a match played on 29/01/2011. BN had suggested he might miss two games but that is not the case. The Bulls have brought in Dave Kevan to assist with the coaching at Edgar Street. The 42 year old Scot was assistant boss at Notts County when Russell Hoult was a player there but was axed along with boss Craig Short in October. He moved on to Stockport in early December to assist boss Paul Simpson but left the club in the wake of Simpson's departure. As a player he spent most of his career with Notts County and Stoke before retiring and moving into coaching, and went on to assistant manager roles with Stoke and Burnley before returning to Meadow Lane. Crewe keeper Steve Phillips says a loan move to Lincoln was scuppered after they were offered Sunderland stopper Trevor Carson for free. Rotherham striker Adam Le Fondre has told the club he will not sign a new contract with the Millers. Bournemouth have confirmed receiving approaches for a number of their players, including ex-Bull Marc Pugh. Lincoln have received £37,000 as part of the club-branded savings scheme with the Norwich and Peterborough Building Society. It is down by a third on last year's figure. Wycombe have loaned teenage winger Jerome Federico to Wealdstone for a month. Bailiffs visited Histon's ground over an unpaid debt on Friday. The club say the debt is being contested in court. Cheltenham have signed striker Matt Green on loan from Oxford until the end of the season. The former Cardiff man scored 12 goals in the Conference last season, but has netted just twice in 21 appearances this term. Accrington have failed to sign defender Mark Hughes from Australian side North Queensland after they refused to release him until mid-February. Windsor and Eton have announced that the club will not contest a winding up order from the taxman and will fold at Wednesday's court hearing. The Zamaretto Premier side won the Division One title last season but were unable to cover their spending. The supporters intend to start a new side next season. Cheltenham won't be finalising a deal for free agent defender Duane Courtney today after he ceased training with the club. Oxford have signed winger Simon Hackney from Colchester on loan until the end of the season. The former Carlisle man cost them a six-figure sum in 2009 but he has made just two sub appearances this term. Gillingham midfielder Danny Spiller has been told he could lose a finger after breaking it during last Tuesday's match with Chesterfield. He originally thought it was only dislocated but has been told now that if he damages it again it may need to be amputated. Stockport are to sign Rochdale defender Alan Goodall on a free transfer. He was offered a new deal to the end of the season at Spotland but opted to move to seek regular games after starting just three League games this season. Shrewsbury are to sign Wolves midfielder David Davies on loan. The 19 year old has previous loan experience at Walsall and Darlington. Port Vale's under fire boss Jim Gannon has appointed Ben Cooper as their new fitness coach, and Andy Mulliner as goalkeeper coach. Lincoln have signed former Millwall midfielder Ali Fuseini on an 18 month deal. He spent the first half of the season with Lewes in Conf South. Wycombe have signed left sided utility man Anthony Straker on loan from Aldershot for a month. The 22 year old has not been part of Dean Holdsworth's plans and rejoins Gary Waddock, who took him to the Shots four years ago. Barnet have released midfielder Glen Poole by mutual consent. The former Yeovil man started just seven games this season. Wycombe have loaned midfielder Kieran Murtagh to Woking for a month. The former Yeovil man has not made a first team appearance since November. Accrington duo Ray Putterill and Andy Parkinson have extended their contracts until the end of the season. Burton have loaned teenage full back Kevin Grocott to Vauxhall Motors for a month. The 18 year old has made two appearances for the Brewers since signing his first pro deal in the summer. Cheltenham have been unable to extend the loan of striker Shaun Jeffers as he turned down an extension as he wants to play regular football. The Coventry man started only three League games since arriving in August. Former Bulls trialist Ryan Burge has signed for Doncaster on a short term deal. The 23 year old has recently been playing for Glenn Hoddle's academy side. Shrewsbury have signed Wigan keeper Lee Nicholl on a months loan. The teenager had a month at Hartlepool earlier in the season. Aldershot have signed Newport midfielder Jamie Collins for an undisclosed fee. The Welsh side waived the amnesty barring Dean Holdsworth from raiding his former side to allow the move to happen. Bury have torn up striker Danny Carlton's contract by mutual consent with the striker looking to get back into regular football after 18 months at Gigg Lane where he started just two games due to injury. Accrington have signed Burnley defender Kevin Long on loan for the remainder of the season. The 20 year old is a week away from fitness after breaking a bone in his foot while on an earlier loan spell at Stanley. Burton have been forced to cancel the loan of Birmingham winger Nathan Redmond as it breached Football League rules. The 16 year old is a first year scholar and cannot be loaned to a FL club until the second year. Hereford United directors want to send a special thank you to all the fans who cheered them on at Hillsborough and showed they BULLieved. "The support we got for the cup game was overwhelming. 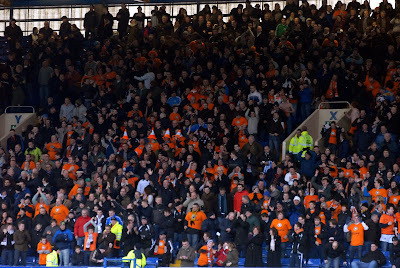 Travelling up from Hereford it was so wonderful to see the tide of orange scarves and shirts flowing towards Sheffield. To see and hear the Hereford fans waving and singing and filling the West Stand was truly amazing. "The players couldn’t have asked for more and we’re sorry there wasn’t a perfect ending to a very special day. To everyone who made the journey, to everyone who cheered us on from far and wide we say a thousand thanks." David Keyte, Tim Russon, Grenville Smith. The Hereford Times reports that the club paid the Richardsons £452,000 to settle the outstanding loan and regain the leases according to the latest accounts. The sum represents just over 42% of the £1,069,500 owed and almost matched the 'cash in hand' balance according to the paper. The HT also notes that the wage bill dropped by £200,000 but directors' renumerations increased by nearly £100,000 and administration expenses rose by over £140,000. The accounts for Graham Turner's final season in charge show an overall loss of £53,660. Tuesday 1st February 2011 KO 7.45 pm. The Bulls travel to Torquay on Tuesday evening in a return to League 2 duty. Originally playing as Torquay Town they shared their Plainmoor ground with rivals Babbacombe competing in the Plymouth and District League alongside the reserve sides of nearby Exeter City and Plymouth Argyle. The two sides eventually merged in 1921 to form Torquay United and played in the Western League and were later elected to Division 3 (South) of The Football League replacing Welsh club Aberdare. Their first season saw them finish bottom having won just eight games, drawn fourteen and lost twenty. They were duly re-elected and finally gained promotion in 1960 albeit for just two seasons. Their fortunes have varied both on and off the pitch ever since as they flirted with relegation from The League…a fate which was finally confirmed at the end of season 06/07. Now safely returned to The Football League, Torquay currently lie in thirteenth place just eight points ahead of The Bulls. HUISA – TBA but expected to depart around 2.30 pm with a fare of £18/20. EDIT: - Now confirmed at 2.30 pm, Members £18, non-members £20. FUNBUS – departs from Wetherspoons at 3.30 pm (Approx). Fare TBA. The Torquay Supporters Club "Boots and Laces" normally admits visiting fans and has a reputation for being friendly whilst O'Conners near to the ground and The George Inn on Babbacombe Road have both received recommendations. Meanwhile, the local Wetherspoons can be found as The London Inn at 15/16 The Strand. SkyBet are offering odds of 7/2 for a Hereford win at Plainmoor on Tuesday evening. In general most bookmakers are offering 11/4 or 3/1. Meanwhile any one who booked Stuart Fleetwood to score first at Hillsborough yesterday could have had an excellent return of 11/1. Brendan Malone is listed to referee Tuesday evening's League Two match between Torquay and Hereford United. The Wiltshire based official was in charge of Hereford's first match of the season at Crewe. On the day Janos Kovacs scored the only goal of the game to give then manager Simon Davey a dream start to his time with the Bulls. As for Malone, he booked four Hereford players. BN was not impressed. A special mention can be reserved for referee Brendan Malone, on his first Football League outing. On that showing he can return to the Conference, as he struggled to control the game with inconsistent decisions and booked four Bulls while allowing several similar Crewe offences to go un-noticed. To date this season Malone has been in charge of 15 games in which he has given out 42 yellow and three red cards. 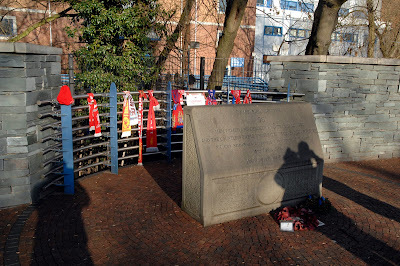 The gate from yesterday's FA Cup-tie at Hillsborough will be shared after reasonable expenses. The attendance was 16578. Using an average ticket price of £10, the gross total will be around £165,000. Expenses may come to around 20% of that amount. But even if the average ticket price is slightly local and the expenses are slightly higher, Hereford United should pocket £60,000 from the game. Wednesday go through to the fifth round of the FA Cup after a second half treble that put an end to the League Two side's hopes of an upset. Goals from Darren Potter, Jermaine Johnson and a brace of penalties from Clinton Morrison were enough to see off Hereford who had taken an early lead through Stuart Fleetwood. There was a welcome start for Paul Heffernan for the Owls, one of three changes made by Alan Irvine from the midweek draw against Yeovil. Clinton Morrison partnered Heffernan and Daniel Jones came in for Mark Reynolds. Hereford looked quite composed on the ball from the off and played with a confidence which backed up their recent unbeaten run which has seen them move off the foot of League Two, and it took them just nine minutes to find a chink in the Owls armour. A quick breakaway down the Bulls right from Jake Jervis ended with a cross which Michael Morrison left to come across his body and Stuart Fleetwood took the opportunity to squeeze a shot past Nicky Weaver to open the scoring. Wednesday looked nervous and there were a few passes going astray as the visitors started to sense an upset could be on the cards. But rather than succumb to the work ethic of the Bulls, the Owls grabbed a crucial equaliser within ten minutes. Daniel Jones overlapped Gary Teale on the left flank before playing the ball into the box, it eluded everyone but Darren Potter who raced onto it before smashing a fine finish past Adam Bartlett. The equaliser brought some much needed impetus to the Owls play and the confidence level rose significantly, with the passing crisper, and more accurate than previously. However, the visitors again were doing their best to break down the Owls attacks and other than Heffernan spurning a decent chance after some great interplay through midfield, the Bulls were far from disgracing themselves. Hereford's forays into the Wednesday half were few and far between and when Jonas Kovacs headed a left wing corner onto the roof of the Owls net despite being unmarked before Fleetwood then prodded inches wide of the upright it maybe brought the sense that it wouldn't be their day. The second half began with the Owls in the ascendancy but again the crucial ball in the final third of the pitch just seemed to elude them as Hereford were doing well to close down the space to stifle the Wednesday attack. Darren Potter went down under a heavy challenge from ex Owl, Kenny Lunt, and appeared to be in some discomfort so he was replaced by James O Connor, but Potter was clearly ok as he reacted angrily to the substitution. Although Potter had played well, O Connor immediately had an impact with a fine pass from right to left freeing Daniel Jones who clipped the ball across the box into the path of Clinton Morrison but the Wednesday man was hauled down by Joe Heath and the referee pointed to the spot and dismissed the Hereford player. Morrison sent Bartlett the wrong way to put Wednesday in front and from then on there was only one team in the game. Jermaine Johnson then burst into life with the goal of the game, taking possession of a long throw from Nicky Weaver he raced into the opposition half before waltzing past a couple of challenges and firing home in front of the Kop. Within seconds of the restart it was to be four, Teale's right wing cross was handled by Michael Townsend and again the ref pointed to the sopt despite the protests of the Bull's defender. Morrison again stepped forward and slotted home the spot kick confidently. Jermaine Johnson was then within inches of making it five, another lung busting run past the distraught defence ended with a thunderbolt of a shot that ricocheted off the upright and bounced to safety.It would have capped a fine 20 minute spell for the winger who in truth had been disappointing until the opposition had gone down to ten men. So Wednesday find their name in the draw for the fifth round and a step closer to Wembley. Hereford United bowed out of this years FA Cup this afternoon despite taking a ninth minute lead through Stuart Fleetwood. Hosts, Sheffield Wednesday, struck back before the interval through Darren Potter and added a brace of Morrison penalties and a fine individual Jermaine Johnson goal in the second period to ease into Round 5. A mighty gathering of Herefordians greeted a team that was unchanged from the previous game and therefore included former Owl, Kenny Lunt, in the starting line-up while another ex-Hillsborough resident, Ryan Green, was named on the bench. The opening moves from both teams produced little more than a couple of throw-ins before Clinton Morrison's header from a Coke cross went well wide of the target and a Bulls move involving a McQuilkin/Colbeck interchange broke down on the edge of The Owls box. Then on nine minutes, The Bulls took the lead. Jake Jervis peeled away to the right and was found by Kenny Lunt's probing ball. The Birmingham loanee sent his cross to the back post and Fleetwood was on hand to hammer the ball into the roof of the net. Wednesday were quickly back on the attack and Richard Rose got in a fine block tackle to deny Teale inside the area but got beaten by a Daniel Jones run that enable hin to pull the ball back to Potter who fired a low drive past Bartlett from just inside the area on the quarter hour. Kenny Lunt sent Heath away on a surging run down the left but his cross was cut out as Fleetwood closed in to shoot. At the other end, a Morrison and Heffernan combination produced a snap shot which Bartlett was quickly down to smother before Morrison scooped another chance over the bar from just a yard out. For The Bulls, Kovacs saw a set-piece header graze the bar while at the other end some fine hold-up play by Morrison enabled Teale to bring a save out of Bartlett before Fleetwood outpaced two defenders only to see his shot sneak narrowly wide of the upright. The hosts started the second period on the front foot and Rose collected a yellow card when referee Tanner failed to spot a hand in the face from Daniel Jones but quickly penalised the unbalanced Rose when Jones tumbled to the ground. Tanner was to infuriate the visitors several times during the second half as only one of his watchful eyes appeared to be in working order. Jervis was chopped to the ground off the ball on the halfway line as The Bulls broke down the left but the official missed it completely. Kenny Lunt was withdrawn on the hour-mark to be replaced by Rob Purdie but the removal of the wise old owl and a shuffle of the midfield seemed to disrupt what had seemed a fairly organised central pack. A series of poor decisions unsettled the Hereford team as their usual tidy passing game deserted them. Colbeck, Featherstone and even McQuilkin were all guilty of cheaply loosing possession but it was Jervis who was the main culprit. Indeed, it was his loss that led to a Jermaine Johnson counter attack down the left, which gave the lead to Wednesday. His cross to the back post found Morrison and Joe Heath tussling for the ball and as Morrison backed in, Heath was adjudged to have fouled. A penalty was awarded and Heath dismissed for supposedly preventing a goal-scoring opportunity. Morrison dispatched the spot-kick in the seventieth minute. The ten-man Bulls couldn't get to grips with the staff shortage and was no real surprise when Jermaine Johnson added to the score at the end of a mazy run from the halfway line as he buried a fine solo effort into the far corner of Bartlett's net after Jervis had lost the ball deep into the opposition half. The Bulls then conceded a very harsh second penalty when Townsend was penalised for handball when the ball was blasted at him from close range as he fell to the ground. Morrison again beat Bartlett with the spot-kick but Hereford fans were left wondering how Tanner failed to spot a far more deliberate handball at the other end when Colbeck’s cross was charged down by two upraised hands. Aiden Thomas and Ryan Green both joined the game late on but The Bulls finished a dispirited team although they received generous applause the travelling faithful amongst the 16,578 who watched the game. Hereford: Bartlett, Rose, Kovacs, Townsend, Heath, Colbeck (Green 76), Featherstone, McQuilkin (Thomas 81), Lunt (Purdie 61), Jervis, Fleetwood. Subs unused: Stratford, Canham, Weir, Preston. Sheffield Wednesday: Weaver, Spurr, M Morrison, Heffernan, Coke (Sedgwick 82), Jones, Potter (O’Connor 57), Teale, R Johnson, J Johnson, C Morrison. Subs unused: Jameson, Reynolds, Beevers, Mellor. It would bold to suggest that The Bulls were unlucky to lose but the final score line did flatter the hosts particularly based on the performance before referee Tanner’s questionable interventions. The normally reliable Richard Rose had a difficult day and the usual midfield passing machine was uncharacteristically off-form while youngster Jake Jervis showed little to suggest that he will be a suitable replacement for the much missed Beastly striker. So, Cup duty over for another year, see you at the Turkey Pen on Tuesday. In an interview with BBC Sport, Owls manager Alan Irvine praised the Bulls performance. "I thought we were inconsistant in the first half. We didn't do anything right but the players showed good character to come back and score four goals. "Yes Hereford played very well. "They got their noses in front and that could have made things extremely difficult for us. "We know that they are in a good vein of form at the moment. We're getting them at their best. "And you can see why. "They obviously have a lot of confidence at this particular time and they would have come here expecting to give us a hard game anyway. "And that they certainly did." "I thought it was a tight game up until their second goal, which was a big blow. "None of their players appealed for the penalty. There was some confusion but the linesman gave it. I will have to see it again. "I don't think that we deserved to lose 4-1." "It was a great result for us and I'm delighted to be in the last 16. "It was a big result for the club and it was a big result for me. With the way that things are, I'd be very naive if I didn't think it was a precarious position for me to be in at the moment. "We've done well after the cup games and hopefully we'll do well after this one." Ben Smith was part of the Crawley side that beat Torquay in the FA Cup, but Tony James was left warming the bench again as Burton lost at Burnley. Marc Pugh scored the opener for Bournemouth as they won at Plymouth. Dean Smith earned his first win as Walsall boss with an emphatic 6-1 win over Bristol Rovers. Alan Connell scored twice as Grimsby won at Eastbourne. Steve Guinan was booked as Forest Green lost at Fleetwood. Neil Mackenzie scored the equaliser as Tamworth drew at Rushden. Down the bottom of the table the Bulls slip a place to 22nd, but earn an extra game in hand on the bottom two. Both Barnet and Stockport lost, giving the Bulls four games in hand on each. The Bees went down 2-0 at home to Southend, while Stockport lost 4-0 at Rotherham. Lincoln beat Port Vale 1-0 to move to 28 points, three clear of the Bulls, ahead of Macclesfield and Burton. Neither of that pair played today with the Silkmen level on games played with the Bulls but two points better off, and the Brewers now have seven games in hand on the bottom two. At the top Chesterfield's lead is seven points after a 2-2 draw with Bradford, while second placed Wycombe didn't play. Rotherham retake third after their win and Gillingham knock Shrewsbury out of the play-off zone with their 2-1 win over Aldershot. Play-off challengers Oxford and Cheltenham drew 1-1 in the other game. In the Conference Wrexham won 3-2 at Mansfield to move into the play-off picture, with Fleetwood beating Forest Green 2-0. Kidderminster won 4-0 at Hayes and Yeading. Below are the main stats from Hillsborough where the Bulls were defeated 4-1 by Sheffield Wednesday despite scoring first. Cards: Yellow for Richard Rose and a Red for Joe Heath, a poor challenge on 68 mins. The Bulls went out of the FA Cup 4-1 today but they stay out of the relegation zone after today's results. Stuart Fleetwood scored an early goal but a collection of referee decisions against the Bulls saw them have Joe Heath sent off and two penalties conceded. In League Two both Barnet and Stockport lost to give the Bulls a further game in hand. Kenny Lunt, who spent three years with the Owls, is hoping that Hereford United can pull off a victory against Sheffield Wednesday this afternoon and so follow Ronnie Radford and the Bulls squad from 1972 into the history books. "Everybody remembers the Ronnie Radford goal – it was the club’s finest hour," said Lunt as reported by the Daily Star. "But, hopefully, we can create our own piece of history this weekend. "It is a big game and one we are going to enjoy. We are underdogs because Wednesday are a massive club, but we believe we can pull off another upset. "It would have been nice to get a big Premier League team, but Hillsborough is a great stadium to play at and holds special memories for me. "We will be taking a lot of fans up there and hopefully we will give them plenty to cheer about." Lincoln have signed Southend striker Scott Spencer after he was released from his Roots Hall contract by mutual consent. The former Everton trainee has signed until the end of the season. The Imps have also extended the loan of Arsenal youngster Gavin Hoyte until the end of the season and signed midfielder Luke Howell on a permanent deal after a loan from MK Dons. Aldershot have loaned striker Damian Spencer to Eastbourne for a month as he battles back to fitness after missing much of the season. Morecambe have signed defender Andy Holdsworth after he was released by Oldham and loaned Carlisle midfielder Kevan Hurst, both until the end of the season. Out of the Globe Arena door goes defender Will Haining, who moves to Fleetwood for a month. Northampton have taken Josh Walker on loan for a second time. The Watford youngster had a spell at Sixfields last season on loan from previous club Middlesboro. Cheltenham have offloaded youngster Marley Watkins to Bath after spending several spells out on loan. Gillingham have loaned youngster Callum Davies to Lewes for a month. Port Vale have confirmed the signing of striker Tom Pope on loan from Rotherham for an initial month. Southend defender Bilel Moshni is reported to be the target of a bid from a Premier League side according to Sky Sports. Plymouth are reported to have not paid the players' wage bill for January on time. It is the third time in a row the money has been late, but the office staff have been paid. Luton have signed Cambridge winger Robbie Willmott for £50,000. Cambridge have also released striker Wayne Gray as a cost cutting measure. Hereford United have revealed that just over 1500 advance tickets have been sold by the club for tomorrow's FA Cup game at Hillsborough. Added to that will be tickets sold on the gate tomorrow so it's quite possible that support for the Bulls will be close to 2,000. The forecast for the game is dry and sunny but temperatures will struggle to get beyond 2C. So the message is to take plenty of warm clothing to wear under those orange BULLieve T-shirts. Meanwhile the senior game isn't the only one taking place tomorrow. An under 12's side will leave Hereford at 7am to play an under 12's Sheffield Wednesday team. UPDATE: also two other 'young' teams. BBC Hereford and Worcester's sports programme tomorrow afternoon will come direct from Hillsborough, the home of Sheffield Wednesday. Trevor Owens will present the programme which will have all the build up to the game with Hereford United. And on 94.7FM around Herefordshire there will be full match commentary of the whole match. Owens will be behind the microphone and the summariser will be former Hereford United player Gareth Davies. Meanwhile for those who subscribe to Bulls Player, they will have full match commentary with Jamie Griffiths and Gregg Davies. Seven leading bookmakers are offering odds of 6/1 on a Hereford United win at Hillsborough tomorrow in the fourth round of the FA Cup. They are Totesport, BetFred, Victor Chandler, BlueSq, Stan James, 888sport and Unibet. Best price for a draw and therefore a replay at Hereford is 10/3. This price is available with SkyBet, Victor Chandler and Coral. Hereford United have signed 21 year old French born striker Wesley Ngo Baheng on non-contract terms. "Wes is going to be signing on non-contract terms but will not be available for the game on Saturday," said manager Jamie Pitman. Baheng was with Aldershot until recently. Baheng began playing at the youth system of Le Havre, and was offered a contract with Newcastle United in January 2008. He accepted but spent 18 months out of football due to a cruciate ligament injury. After a deal with Nuremberg fell through, in the early weeks of the 2010–11 season, Baheng had trials at Amiens, Faro, Mechelen and Gateshead, but eventually signed for Aldershot Town on a short-term deal. He made his professional debut as a substitute in the 2–0 defeat in the FA Cup match against Dover Athletic on 27 November 2010. Ngo Baheng was released by new Aldershot manager, Dean Holdsworth after the end of his short-term contract on 19 January 2011. 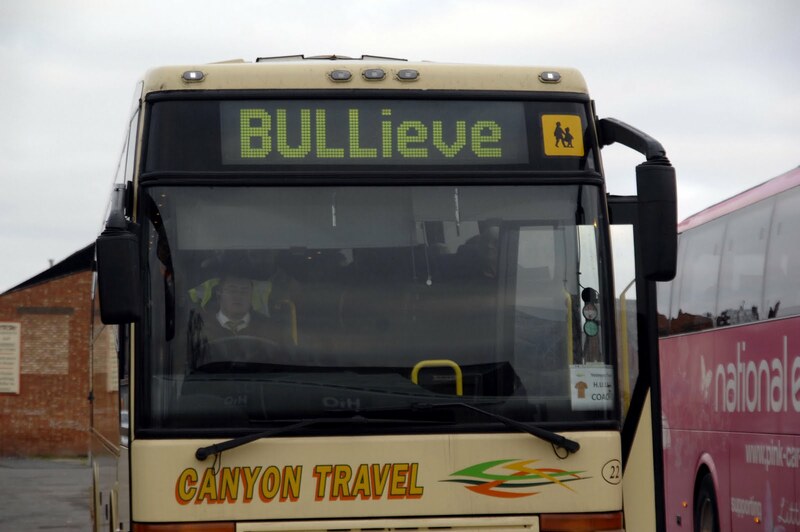 The Bulls are on their way to Sheffield and manager Jamie Pitman has vowed to do all he can to cause an FA Cup upset. "It’s a big game but one that we are going to enjoy. We are the underdogs and have nothing to lose. The players and the staff have worked very hard for the winning run. We are in-form and want to continue that," Pitman told the Worcester News. "We believe we have got a chance in the cup game and are going to do our best to get through, which would be great financially for the club. "There’s a chance we could get into the fifth round which would be a massive achievement for us." It's thought close to 2,000 Hereford United supporters will make the trip and Pitman has called on them to get behind the team. "The fans have got us through games when we have needed them to and, as long as we keep that vocal support, hopefully we will give them something to cheer about." Sheff Weds have warned supporters that some roads near the ground must not be parked in tomorrow. The transfer window is fast closing, and the Bulls have resigned a former central defender. But it's not Tony James. Hereford United's on-loan striker Jake Jervis is 10/1 to score the first goal of the FA Cup-tie at Hillsborough tomorrow. This price is available with Bet 365, Victor Chandler, BlueSq and 888sport. Stuart Fleetwood is listed at the slightly better price 11/1 to score first. This offer is with Bet 365 and Victor Chandler. Rob Purdie is at 18/1 with Bet 365, and Coral are offering 22/1 on James McQuilkin and 28/1 on Joe Colbeck scoring first. As for the result a 1-0 win for the Bulls is 20/1 with Coral and a 2-0 win is 47/1 with Betfair. A 2-1 win for the Bulls is 25/1 with Stan James, Totesport and Boylesport. A 0-0 draw is 18/1 with Coral, a 1-1 draw is 8/1 with SkyBet, Coral and William Hill. And a 2-2 draw is 22/1 with Stan James. BN will have an update on the winner's odds later today. Currently the Bulls can be backed at 6/1 to win the game. Marc Pugh who quit Hereford United for Bournemouth last summer is now worth £400,000 suggests the Daily Mail. The paper speculates that Pugh's former manager, Eddie Howe now with Burnley, is still interested in his signature. Pugh has scored ten goals this season so far. Should Howe put in a successful bid for Pugh, Hereford United will benefit by 10% of the fee less the amount Bournemouth paid for him which was understood to be £60,000 plus £10,000 per 15 appearances. Today's Hereford Times carries an article about supporters who sit in the Len Weston Stand, the one that runs next to the A49. Whilst it is now called the Cargill Stand and was for a while the Floors-to-Go stand, most supporters still think of it as the Len Weston Stand. 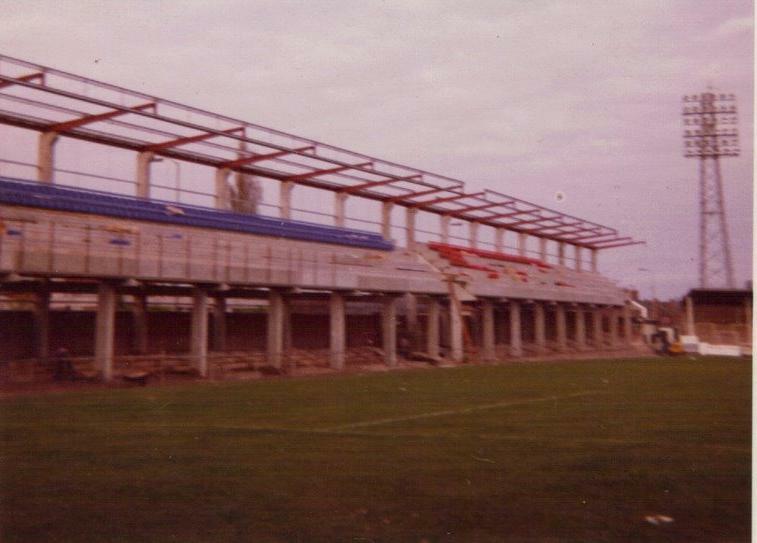 After all it was Len Weston, who was chairman of Hereford United from 1949 to 1965 and afterwards president, who was the inspiration for the stand which was built in 1973. Marc Richards, better known as Parkabull, is one fan who still sits in the Len Weston. "A few of us have got nicknames, like Carneybull, Ledburybull (BN's home match reporter - ed) and Hampton, and one has even called himself Len Weston’s Last Stand, in memory of the great man," he told the Hereford Times. Another view came from Dennis Pitt. "You are right in the heart of the action and can see everything," he said. "It is definitely a unique stand as there aren’t many like it in the country – not with big concrete pillars anyway." Former Bulls loanee Jennison Myrie-Williams has joined Oxford until the end of the season. The 22 year old winger left SPL side St Johnstone in December after initially moving to Scotland with Dundee United in 2009. The former Bristol City trainee played 15 times for the Bulls in early 2009, scoring twice. Hereford United director Grenville Smith feels the Bulls are playing well enough to cause an upset at Sheffield Wednesday on Saturday. "I've been on the board for over eleven years and every game now I don't get excited I get nervous," Smith told BBC Hereford and Worcester. "The tension in my stomach watching the football is terrible. "We've got a big game this weekend and I fancy another giant-killing act, I really do. "We're scoring goals, we're not conceeding so many goals now, and they are conceeding goals. "If we have a bit of luck I think we could well get through to the fifth round for the first time." As part of Hereford United's build up to the Sheffield Wednesday cup game, several archive videos of cup games have been made available on Bulls Player. Amidst those already on the site, there is the Newcastle game from 1972, travelling to West Ham also from 1972, footage of that game and also of the game against Leicester at Edgar Street from 1999. More are promised. Webmaster Jamie Griffiths has also revealed that cameras will be following the team as they travel to Sheffield tomorrow. Rob Purdie is to stay with Hereford United until the end of the season. An agreement has been reached with parent club Oldham. "He went down to Hereford, done well," said Oldham manager Paul Dickov. "The biggest thing with Rob was that he needed games. He had a terrible time through injury. "We've got an agreement for Rob to stay there until the end of the season." Sheff Weds keeper Nicky Weaver wants to progress in the FA Cup and draw one of the big clubs. The club Captain told the club's official site: "We are in the fourth round now and for us to get into the hat for round five would be massive. It's been quite a while since Sheffield Wednesday made the fifth round of the FA Cup so it would be nice to be part of the team that did so. When you get to the last 32, the chances are obviously increased of getting a glamour tie and the revenue that comes with it. "Hereford are a good side - you only have to look at their recent form. We played a League 2 side in Northampton at Hillsborough in the second round and they showed there are some good players in that division." The Owls will be without midfielder Tommy Miller for Saturday's game after scans showed muscle damage in a hamstring injury picked up during last weekend's loss to Leyton Orient. Striker Gary Madine will also miss the game as he is cup-tied after playing for former club Carlisle earlier in the competition. Bradford have made the loan deal for Oldham midfielder Jon Worthington permanent after the player agreed a termination to his Latics contract. He will remain with the Bantams until the end of the season. Torquay are still waiting to hear what funding they will be allowed from the Football Foundation in their bid to build a new main stand at Plainmoor. Their current ground capacity is under 5,500 after safety rules saw the allowable capacity in their current stand cut. Port Vale's board say Mo Chaudry's bid for the club will leave them even further in debt. At their last accounts they had £3.6million of debt, but the board say it will deepen as Chaudry is only intending to loan money to the club. On the pitch the Valiants want to sign Rotherham striker Tom Pope, while former Bull Kris Taylor has told the press he wants a new deal. The utility man has started only nine games this season after signing a 12 month deal last summer. It's 53 years since Hereford United first met Sheffield Wednesday in the FA Cup. In that season, 1957/58, the Bulls entered the competition in the fourth qualifying round. A visit to Heanor Town resulted in a 5- 1 victory for Hereford United. Then in round one happy times on the Isle of Wight when the Bulls dispatched Newport 3-0. Round Two produced the Bulls biggest win in the main rounds ever, a 6-1 hammering of Queens Park Rangers. But the luck ran out in round three as the Bulls lost 3-0 to Sheffield Wednesday at Edgar Street in front of 18,114. The league matches in 1957/58 were completely overshadowed by cup glory. Heanor were beaten 5-1 and everyone hoped for a home match against League opposition. In fact a trip over the water was needed, for it turned out to be Newport (Isle of Wight). Hereford found the journey more demanding than the match and cruised to an easy 3-0 victory. Then a home tie against Queens Park Rangers who were in the Third Divison (South). For the match with QPR, Hereford fielded: Sewell, Tomkins, Wade, Masters, Niblett, Horton, Bowen, Clayton, Fidler, Williams, and Beech. In front of a crowd of 10,131, the Southern League part-timers staged an amazing 6-1 win, put into prospective by the fact that the visitors lost goalkeeper Springett early in the game. The same Ron Springett was later to join Sheffield Wednesday and make 33 appearances for England. The United goalscorers were Henry Horton, who netted two penalties, Roy Williams, Ronnie Clayton, Reggie Bowen and Cyril Beech. This match is the one of the biggest ever victories by a non-league side against League opponents. On January 4th 1958 Edgar Street was packed. It almost seemed as though the whole population of the city of Hereford was crammed into the ground. The official attendance was 18,114, which is still a ground record, and the gross gate totalled £2,966. The attraction was Hereford United's first ever competitive match against a First Division side. Sheffield Wednesday refused to plasy Fairy Godmother to the Southern League Cinderellas though and scored a business-like 3-0 win. Following United's exit from the Cup freddie Jones and Ronnie Clayton were transferred to Arsenal for a combined fee of £5,000. Sheffield Wednesday chairman Milan Mandaric has told manager Alan Irvine that his job is secure at present. "I believe in Alan and feel we should all get behind him and give him a chance,' Mandaric said. "Booing him won’t help anyone. "I understand the supporters but we have to help Alan bring in more players because there is a shortage of quality and leadership in the team. "We are not talking about any other manager at this time." However a defeat by Hereford on Saturday could mean Irvine's days at Hillsborough may be numbered. "I would love to continue (as manager), but that's not my decision," Irving told the Yorkshire Post. "It's not something within my control, I will wait to see what developments there are, if there are any. "It is up to us to make sure the mood of the supporters is right. We have to get the results. If we win the games, we score goals and don't concede them, then the fans will be happy. But at this moment they have a right to be unhappy. "Hereford will be coming here thinking 'what a great game, what a great place to go and play, this will be absolutely fantastic'. They will be really up for it and we have to deal with that." The Sun ticket offer (here) of a pair of Adult tickets for just £9.50 is available for a quickfire double of early February games. The home matches against Lincoln on Saturday February 5th and Macclesfield on Tuesday February 8th are both included in the offer. See the link above for the qualifying terms. Kidderminster have accepted the bid from businessman Chris Swan to buy the club. The £1 deal will see Swan put £150,000 into the club to stave off their immediate problems. Rotherham have signed Tranmere striker Ian Thomas-Moore, son of boss Ronnie, on an 18 month contract. The 33 year old has cost an undisclosed fee after being chased by the Millers since the summer. Lincoln have signed former QPR defender Pat Kanyuka on a deal until the end of the season. The Congolese born central defender has most recently been playing in Romania after leaving Northampton in 2008. Stockport defender Matthew Grieve has been ruled out for two months with a fractured cheekbone. It is likely to end his current spell with the Hatters as he only signed on loan for a month from Newcastle. Torquay have extended the loan of midfielder Joe Oastler from QPR until the end of the season. The 20 year old has made 15 appearances since arriving in October. Former Bull Gavin Mahon has signed a month long extension to his QPR contract while he recovers his fitness after a hamstring injury. Big spending Neath are chasing Mansfield striker Rob Duffy after he failed to agree a move to Grimsby. While they splash the cash on gates of less than 500, fellow Welsh sides Rhyl and Welshpool have called meetings with supporters to detail their financial distresses. Welshpool are said to only still be in business thanks to handouts from the chairman that quit two weeks ago, while Rhyl are claimed to have a substantial outstanding tax bill. Brentford have announced that Barratt Homes have pulled out of their joint development of a new stadium due to the downturn in house prices. The club still have an option to buy the identified Lionel Road site from Barratt, but will now have to find a new partner to redevelop their Griffin Park base. Cambridge have announced that their General Manager and Football Secretary have resigned their positions after a financial review of the club saw cuts were needed. Baldwin is the former Histon secretary whose husband Gareth is attempting to take over Cambridge. Hereford United can be backed at 6/1 to cause a cup upset at Sheffield Wednesday on Saturday. This price is available with Totesport, Stan James, Paddy Power, BetFred, Victor Chandler, and Unibet. Best price for a draw is 10/3. That's with Coral and Victor Chandler. Sheffield Wednesday 4/9 Draw 11/4 Hereford United 11/2. Meanwhile if the Bulls are still in the competition on Sunday they will be ball number 16 in the fifth round draw. Tupsley Bull has been researching train travel to Sheffield from Hereford for the FA Cup-tie next Saturday. Change at Birmingham with a 19 minute wait. Might be busy on Saturday morning. Will be worth getting your tickets in advance from the station!! Ben Smith hasn't forgotten his time with Hereford United according to his words in the Crawley Observer. Crawley, the only non-league side left in the FA Cup, travel to Torquay on Saturday for their tie. And Smith was asked who he would prefer in the fifth round. He picked out 'Arsenal at the Emirates, West Ham or Hereford'. "When you’ve done as well as we have you feel it would be right to get a big club," said Smith. Looking ahead to Saturday's FA Cup match at Sheffield Wednesday, Jamie Pitman told Trevor Owens, sports editor at BBC Hereford and Worcester, that he was well focused on the tie. "I've got two eyes on it now, well focused," said the Hereford United manager after last night's game against Morecambe. "Everyone has come through unscathed, no problems. "I just have a dilemna as I've got a lot of quality now to pick from." Pitman said there was no chance he could relax despite the Bulls moving off the bottom of the table. "I'm a perfectionist. I want to go in and I want to win every game. "We are going to go there because financially for the club it would be massive if we get through, for the players and for everybody concerned at the football club. "We believe we can go there and get a result, but it's going to be very difficult and I'll need everyone of them to turn up on that day." The Sun and the Football League have teamed up to give fans to chance to watch Hereford United for just £9-50 for two adults. Tokens will be printed in the Sun from next Saturday January 29th. Step 1: Collect FOUR differently numbered tokens printed in The Sun starting Saturday, 29th January, 2011. Step 2: Choose your nearest participating club - Hereford United of course! Step 3: Once you've selected a club and fixture, simply call the club to check availability for the game of your choice. 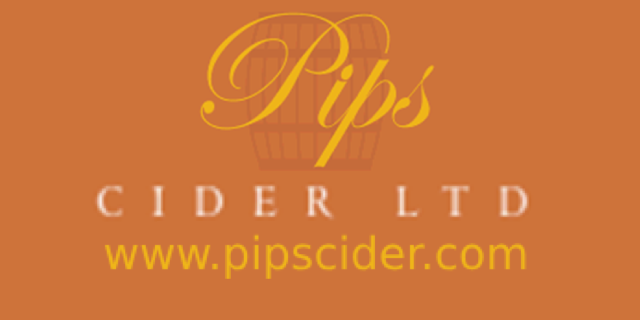 The club will also provide you with any further booking instructions you may require. Step 4: To collect your tickets, simply fill out the application form from the paper or their website, and attach FOUR differently numbered tokens. Then take your completed form, all 4 tokens and your payment to your chosen club's ticket office where you will collect your two adult tickets. Step 5: Visit the club websites for more information on everything from getting to the ground, buying additional tickets, and your chosen team's stats. It's not yet been revealed which Hereford United game or games are included in the Sun offer. Eight Times for Bulls in Fourth Round. Hereford United have reached the fourth round of the FA Cup on six previous occasions. The first time was in the 1971/72 season when in the third round there was a very special victory at Edgar Street against Newcastle United. In the fourth round the Bulls were pitched against West Ham United at Edgar Street. The result a 0-0 draw and a replay. However West Ham ran out 3-1 winners. The second time came in 1973/74. The Bulls were drawn against West Ham in the third round and managed a creditable 1-1 draw. The replay at Edgar Street resulted in a 2-1 win for Hereford. 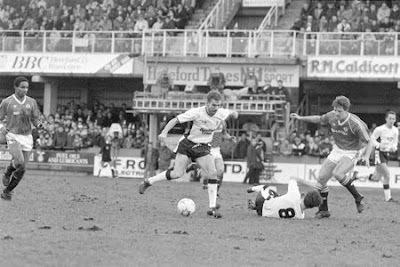 Then in the fourth round the Bulls faced Bristol City at Edgar Street but were defeated 1-0. The third time was in the 1976/77 season. Hereford were in division two at the time so didn't take part in the Cup until the third round which they got through by defeating Reading 1-0. However a trip to Middleborough in the fourth round didn't go the way of the Bulls as they lost 4-0. The fourth time was in the 1981/82 season. The Bulls played a third round tie at Scunthorpe which was drawn 1-1. However in the replay the Bulls won 4-1 to set up a fourth round tie against Leicester City. The Foxes won the game at Edgar Street by 1-0. The fifth time was in the 1989/90 season. Having defeated Farnborough, Merthyr and Walsall in the first three rounds the Bulls were drawn against Manchester United at Edgar Street. Sir Alex Ferguson has now been at Old Trafford for over twenty years but it might not have been anywhere near as long had Hereford United defeated Manchester United in the FA Cup on January 28th 1990. Fergi had to take his team to Edgar Street to face Hereford United in the fourth round of the FA Cup. At the time he was under pressure as his side were sliding down the First Division. Some of his expensive squad were not performing and as ever the buck stops with the manager. "He takes his side into tomorrow's tie at Hereford knowing that his tenure will probably go the way of the Government's Football Spectators Bill should the League's 88th-placed team prove victorious." wrote Phil Shaw in the Independent. Team captain Bryan Robson revealed before the game that United were wary of going to Edgar Street. They had defeated Notts Forest in the previous round. "It's cup final to them and it's sure to be tough," said Robson. "On paper this looks easier than playing Forest away, but you never know when you go to these lower league clubs." On the day of the game, Sunday January 28th 1990, the pitch was awful after days of rain and the Bulls held their visitors until the 84th minute of the game when Clayton Blackmore scored the only goal of the game. "Being drawn against a little club can be a nightmare. When we won the FA Cup in 1990 we played Hereford United on a quagmire of a pitch," Ferguson wrote in a column later that year. "There was an incredible extravaganza with marching bands and a big bull - the Hereford emblem - out on the pitch. "There was a sell-out crowd, tickets changing hands on the black market and of course television - they hadn't seen so many cameras since they beat Newcastle in the FA Cup in 1972. "So our visit made it a big day for them. "It was so wet that the car park was flooded and some cars were marooned for days. "We only won with a goal in the final minutes." The sixth time was two seasons later in 1991/92. The Bulls had a relatively easy journey to reach the fourth round with wins against Atherstone, Aylesbury and Woking. But they had to travel to Nottingham Forest in the fourth round and were defeated 2-0. Fast forward to 2007/08 and after a space of 16 seasons the Bulls were in the fourth round for the seventh time. Cardiff were the visitors to Edgar Street. However the task was too much for Graham Turner's side who went down 2-1. And the eighth time will be on Saturday at Sheffield Wednesday. Referee Trevor Kettle has told Sheffield Wednesday that coins were thrown from the Kop during last night's game against Yeovil. This from the Owls OS. The incident came after Reda Johnson had equalised for Wednesday in the 86th minute. Mr Kettle handed one of these coins to John Rutherford as evidence of the coin throwing and confirmed that he would include details of the incident in a report to the FA. This means that the club is now likely to face an inquiry by the FA into this unacceptable behaviour which could lead to sanctions against the club. This type of behaviour is in breach of the ground regulations. The club has already begun viewing CCTV footage to try to identify the offenders who threw the coins and Sheffield Wednesday Football Club appeals to any fans who saw anyone throwing coins to come forward and identify the culprits. If the culprits are identified, the club is committed to taking the appropriate action against them. The Transfer Window will shut at 11pm on Monday, with the usual 7 day halt on loan deals following that. With five and a half days left to go the Bulls are still negotiating extended terms for both Rob Purdie and Joe Heath, while further additions may also be sought. So far the Bulls have transformed Nicky Featherstone's loan into a permanent deal until the end of the season, and taken Jake Jervis on an initial months loan. The loan window will close on March 24th, after which only goalkeeper loans will be possible under extenuating circumstances. The Bulls have announced their AGM will take place on February 17th. The meeting has a new venue, with the new board choosing to meet in the Vice Presidents Club rather than the usual Three Counties Hotel location. The meeting starts at 7pm. Also happening in the VP Club on February 10th is a Sportsmans Evening featuring two former Bulls players. Tickets will cost £5 and full details will be available shortly. "We're disappointed because we had gone four out of five wins and you think we've turned a corner but we haven't and tonight we've given away sloppy goals, especially the second one. "In this league it's so tight. You can win against a team looking up towards the playoffs and lose to a team down below, so if you go four out of five games winning, you're doing something right." HUISA would like to remind those booked on Bus 3 for Hillsborough on Saturday that it will be departing earlier than the rest. Bus 3 will depart at 8.30am instead of the 9am advertised. It looks as though there will be at least eleven coaches and mini-buses travelling to Sheffield Wednesday on Saturday. 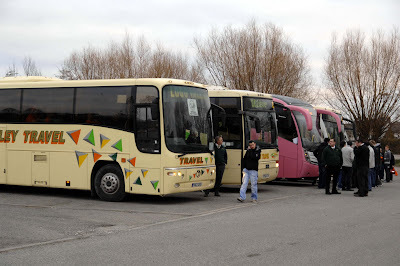 HUISA have reported continued interest in booking for their coaches, two 'fun-buses' are already nearly full, and there are also coaches and/or mini-buses going from both Ledbury and Leominister. Over 1,000 tickets for the game have already been sold through the club and they will continue to be available until 1pm on Friday. However no telephone bookings can be taken afer 4pm this afternoon (Wednesday). After last night's 2-1 win over Morecambe, Jamie Pitman told BBC Hereford and Worcester that on loan striker Jake Jervis will improve. He stepped into Mathieu Manset's former position. "The thing that Jake brings us, that Mathieu didn't, is that he's got a lot of energy and he works very hard and he's very mobile. "And to be fair to him he could have scored. "He's disappointed but he got in those positions and he can finish so I think he'll go from strength to strength." Pitman also spoke about the match in general. "Defensively we kept our shape very well and were very hard to break. Going forward we were very bright on the break and we consolidated well. "In the first half we had two or three breakaway raids which possibly we could have scored from - their goalkeeper (Barry Roche) also made a couple of good saves to deny us. "I don't know what the stats are but I would like to think we have had a fair few shots maybe from long distance. "The players have worked very hard as a team since the start of the year." The Owls can trace their history in some form right back to 1820. Unsurprisingly, their name does stem from the day on which they played their games but not as a football club. It comes from the Wednesday Cricket Club that was formed in that year. It was 1867 that The Club changed to the Sheffield Wednesday Cricket Club and Football Club. The earliest record of a football club is in Sheffield with Sheffield FC being formed in 1857 and Hallam FC in 1860 although neither of these early clubs are directly connected with the two current professional clubs although Sheffield FC did, at one time, play at Bramhall Lane. "Wednesday" won the FA Cup in 1896 defeating Wolverhampton Wanderers 2-1 at Crystal Palace in front of 48,836 spectators a feat, which they repeated in 1907 at the expense of Everton when the gate topped 84,500. "The Owls" nickname comes from the early name of their stadium – The Owlerton Stadium – like Hillsborough, a suburb of Sheffield. The record gate stands at 72,841 which was achieved at an FA Cup 5th round match against Manchester City in 1934. Bulls fans will be accommodated in the upper tier of the Leppings Lane End West Stand with access to turnstiles being directly off Leppings Lane. The game is NOT all-ticket and Bulls' fans will be able to pay at the turnstiles although advance tickets are available from HUFC offices up to lunchtime on Friday. The cut-off for orders via telephone and post is 4.00pm on Wednesday. 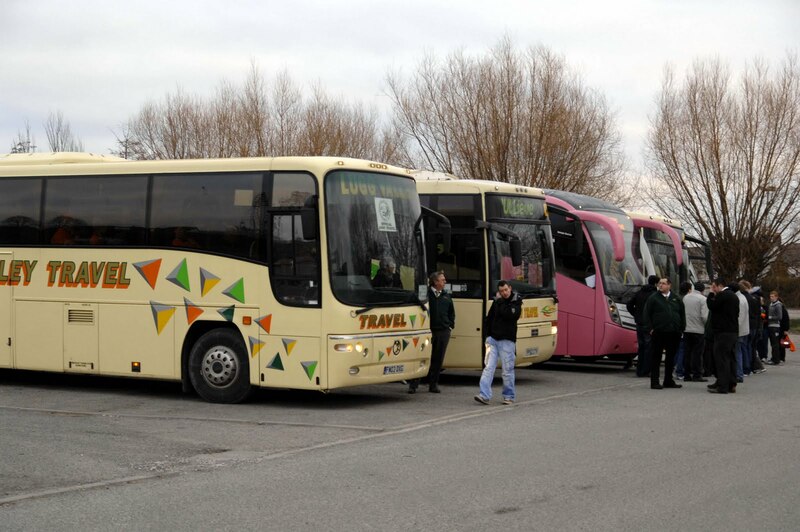 HUISA – Coaches depart Radford's at 9.00am with a fare of £16 for members and £18 for non-members. BY CAR – Travel to Worcester then take the M5 north to join the M42 at M5 J4A. Continue on the M42 taking care to keep left at J3A (avoiding the M40). You will pass signs for the NEC and continue to follow all M42 signs in the direction of Tamworth. The M42 eventually becomes the A42 and which will take you to the M1. Join the M1 (north) and continue all the way to Junction 36 taking care to remain on the M1 at J32 where it splits to the M18. 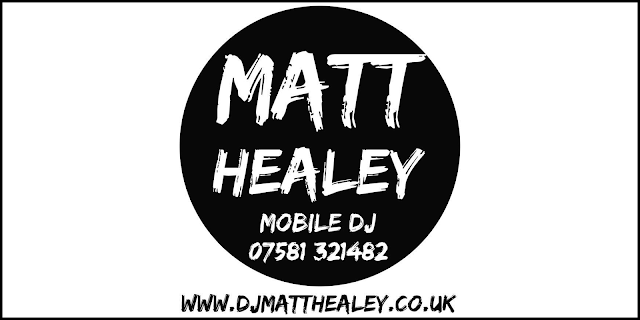 At M1 J36, take the A61 towards Sheffield. Coach organisers should note that South Yorkshire Police will meet coaches at this point to co-ordinate the onward journey to Hillsborough. Car drivers should continue to follow the A61 for approximately four miles until the second roundabout where you take the third exit into Leppings Lane. Yes, it is that easy. Distance is around 155 and you should allow three and a quarter hours. Postcode is S6 1SW. PARKING – There are a few unofficial car parks mainly along the A61 where firms will charge you £3-£5 to park up, with one of the closer ones being the Wednesdayite Car Park (the name of one of their supporters organisations). Their tariff is £5 for non-Wednesdayite members and the car park is situated next to the Kop end of the ground, and therefore is one of the closest..
An alternative, particularly if you want to combine your day with a bit of shopping, is to head to Sheffield Meadowhall Shopping Centre (leave M1 at J34), which is a huge out of town retail shopping centre. The advantage is that parking at Meadowhall is free, however you'll need to take a Tram from there to Leppings Lane (Yellow Tram) that will set you back around £3.50. TRAIN – Sheffield station is in the centre of Sheffield about three miles from the stadium. BUS – Bus numbers 53, 70 and 80 run from Flat Street Bus terminus (near the train station) to Hillsborough. From Angel Street, use buses 85 and 86 and from Snig Hill, buses 85 and 86. ALEHOUSES – On the A61 north of the ground you will find The Norfolk Arms about 2.5 miles from the stadium and The Red Lion half a mile closer to Hillsborough. One that I have visited before is The Hillsborough Hotel at 54/58 Langsett Road just off the A61 going into the centre from the ground. It has it's own microbrewery on the premises! Also, the nearby New Barrack Tavern on Penistone Road is well worth a visit being run by the Castle Rock Brewery. In the centre of Sheffield on Wellington Street you will find The Devonshire Cat, a largish pub with a dozen hand-pumps and good value food. Close to the north side of the inner ring road and at a point where the A61 finally hits the City, you will find The Kelham Island Tavern at 62 Russell Street. This fine alehouse was CAMRA National Pub of The Year in both 2009 and 2010 and therefore needs no further recommendation. Also, nearby, is The Fat Cat at 23 Alma Street which has 11 pumps including Timmy Taylor’s ExLandlord. 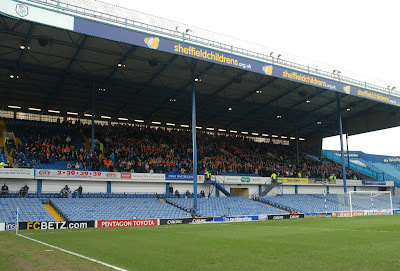 It is believed that no alcohol is served in the visitors end at Hillsborough. There is no shortage of fast food outlets both in the centre and on the approaches to the ground.